PRODUCT DESCRIPTION: Odorless material which is both easy to apply and effective. 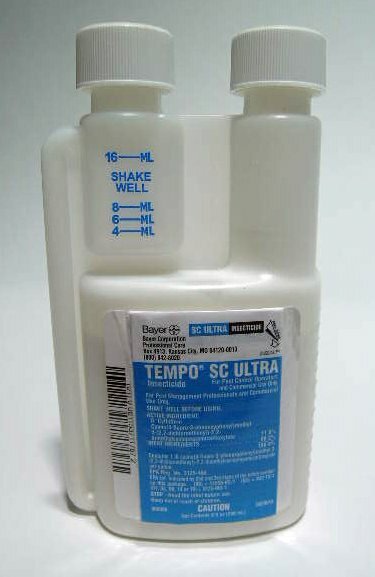 As a micro-encapsulated product, Tempo SC does a good job of remaining active for long periods of time. This formulation is excellent for use on porous surfaces like cement, wood and dirt. WHERE TO USE IT: Outside on the foundation wall creating a wide band of treated surface to stop invasive insects. Inside Tempo SC is odorless and labeled for many pests commonly found in the home and commercial buildings. 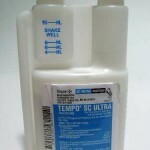 RATE OF APPLICATION: 8 ml – 16 ml per gallon of water. Very good. We have used this product for numerous years and find it to be very good. No worries of having any bugs around our house.